It was October 31, 2008, two weeks before K's 4th birthday. 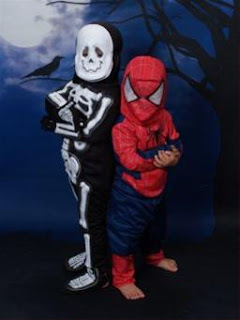 This day had been long-awaited as the kids would finally be able to sport their super-cool costumes to the world. It was also the first time experiencing Halloween in our new neighborhood. Just before we went trick-or-treating, being the overly paranoid mom I am, I gave him the drill: "Okay, nobody is allowed to eat any candy while trick-or-treating. Most importantly, you cannot eat any candy before asking mommy just in case it has peanuts. You must ask mommy first!" We started our trick-or-treating at the local strip mall. After about an hour, the kids were starting to get restless. K asked, "Mom, can I eat a piece of candy now?" This was the third time he had asked me after I had said no to him twice. Upon realizing that he had been so good, I felt that he deserved a treat this time. He had taken a piece of candy out of his bag and peeled off the foil wrapper when I wasn't looking even though I had instructed him not to unwrap anything. What could one expect from a tired little guy who had been resisting these treats for a whole hour? I was happy he at least asked me before popping it into his mouth. I had noticed an eyeball painted on the already crumpled foil, but it just appeared to be a ball of chocolate. Prior to this day, any ball of chocolate I had ever eaten was either solid or embedded only with rice crispies and trust me, I'd had my share. So based on my experience, I was confident that it didn't contain peanuts and deemed it perfectly safe for him to eat. I mean it obviously wasn't a peanut butter cup, or a Snickers bar, or Peanut M&Ms, Butterfinger, or Pay Day. It was just a generic ball of chocolate. How harmful could it be? And so I gave him the okay to eat it and said, "That's it. And don't unwrap any more candy." He enjoyed it with a look of curiosity, but big smile on his face. Later I would find out that that K's look of curiosity was also a look of unfamiliarity. He was tasting something new. You'd be surprised (or not) that fast food contains tons of hidden allergens, while guessing at the ingredients can be near impossible. 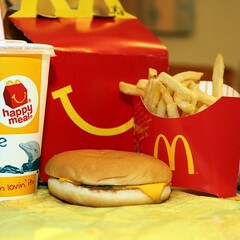 McDonald's French Fries, for example, contain dairy (what? ), but Burger King's french toast sticks aren't made with dairy or egg (which leads us to many more questions...but we're not gonna go there). FYI--here is their disclaimer: "The allergen information displayed on this site are based on our standard product formulations. Variations may occur due to differences in suppliers, ingredient substitutions, recipe revisions, and/or product production at the restaurant." *Chipotle is currently offering a rare Buy One, Get One Free coupon if you watch a 90-second ad for the new NBC reality series, America's Next Great Restaurant. It's easy -- you don't even need to give your email address or have a Facebook account! They do not publish their ingredients but I personally love them, not only because they use fresh ingredients, but also because they will, upon request and availability, use a "dedicated grill" for my dairy and egg allergic children (they use egg in their sauce and cheese in their cheeseburgers)--now that's service! Now that the chaos of the winter holidays has died down... it's time to think about Spring Break! As much as I like to travel, I also quietly(?) groan when we commit to a trip. How do I fit four people's things in three bags? How on earth are two adults going to get three suitcases, three backpacks, two car seats, a bag of food, and two kids through airport check-in? How will we keep two active boys entertained and in their seats (and, uh, not kicking the ones in front of them) for 6 HOURS?? Yes, traveling is stressful for me. And traveling with food-allergic kids adds a whole other layer of worry, not to mention more stuff to bring. We had always suspected that he our first son, K, might have a food allergy. He had a history of pretty moderate to severe eczema as an infant. At the time, there was so much literature on peanut allergies it was natural for us to decide that we would watch out for that one with K.
For the first three years of life, we decided to hold off on peanuts. 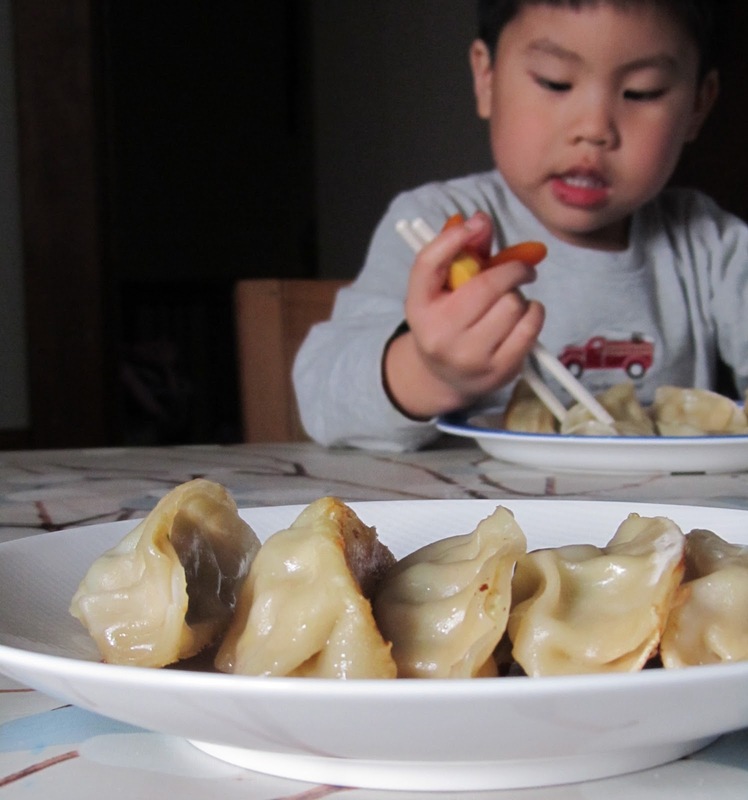 At the end of his third year, our normally reluctant eater became more adventurous and open to trying new foods. We wanted to take advantage of this opportunity and felt it was an appropriate time to introduce new foods and flavors to his palate, including peanuts. One day at a birthday party, among the snacks was a peanut butter granola bar so we had him try it and sure enough he broke out with a couple of hives around his mouth. I could count how many there were. He showed no signs of difficulty breathing or discomfort at all. It was a mild reaction, but that experience confirmed our suspicion nevertheless. Mind you, neither my husband or I have a family history of food allergies so it was difficult for us to understand the seriousness of the situation. With that said, we didn't even bother getting it confirmed with his pediatrician. We figured we'll just avoid peanuts from then on. And we did. By the age of 3, K understood that he was allergic to peanuts. He was even keen enough to inform his preschool teacher that he couldn't eat one of the provided snacks in class since it had peanuts (even though I had indicated it on the registration forms). It came natural to him, much to my relief, to protect himself. So when the teacher asked me about this, I answered, "Well, it hasn't been diagnosed by a doctor yet, but we pretty much know he's allergic so we are avoiding peanuts altogether." I proceeded to tell her, "I actually wrote it on his emergency card." This would be the first interaction I had with any teacher regarding my son's suspected peanut allergies that would help me realize my son's uniqueness. It was the moment that propelled me forward to start thinking about how I should manage his presumed food allergy. Where do I start and when? My son's birthday is coming up in a couple weeks, he has a well visit with his doctor, I'll just consult him about it then. In retrospect, my main concerns seemed to be focused more on how this allergy would impact my son emotionally. How is it going to make him feel when everyone else gets to share the same snack except for him? Will he feel left out? Is this going to affect his self-esteem? It wouldn't be until later that I would realize the true implications of having a food allergy and the physical impact that an allergen could have on an allergic child. ﻿Yes, I braved the rain and was lucky to find a parking space in a lot that has high potential for causing much frustration down the line (think: Haight Street, small lot, new Whole Foods store). But once I got inside, I have to say I was sort of in heaven. Easily spent $40, and the shopping bag included: So yogurt, Whole Foods Bakery vegan chocolate donuts, chocolate loaf, and chocolate chip cookies (yes, we're noticing a theme here), Van's mini frozen egg, dairy, wheat free waffles, Back to Nature egg and dairy free chocolate chip cookies and honey graham sticks, and the Fillo Factory vegan filo sheets (don't have a plan for these yet but there has to be something creative to be done with them!). Oh, and I threw in a grapefruit for good measure. 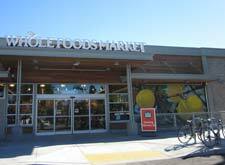 Welcome to the neighborhood, Whole Foods--allergy moms on the west side of town thank you! I'm sure you coupon-savvy shoppers already know about these, but for the rest of us, I just found the link for Whole Foods printable coupons. Right now they've got coupons for products like: Udi's gluten free baked goods, So Coconut milk, and Dream products (any Rice or Soy Dream drinkers out there? Tristan used to exclusively drink Rice Dream, and I know that every little bit helps!). Check back for other coupons, as they change regularly. Happy saving! *Plus, I'm so excited about Wednesday's opening of their new store at 690 Stanyan in the the Haight. I'll definitely be searching out more Whole Foods products in the near future! I made fried rice for Logan's class for their Chinese New Year celebration, and even though it bears only a slight resemblance to anything I might call "Chinese" (ok I'm so putting my Chinese ancestors to shame), I thought I would share this meal idea. In fact, most people I know only make fried rice when they have some leftover rice in their rice cookers, and a few small portions of meat, fish, tofu, or seafood and veggies in their fridge. One of Logan's classmates, Olivia, requested this dish after trying it at school, so I'm going to post what I did for the class that day, and hopefully you'll get inspired and make your very own (WAY better) version. The key to a good fried rice is using leftover rice from the night before. If you don't have that, make your rice, and then uncover it so it can dry out a little before frying it. Basically add oil to a heated pan, add the meat, fish, or other protein, veggies, and rice, and cook together, stirring occasionally. Try the following recipe for a super easy and allergy-friendly meal. 1.Cook sausage over medium heat in a pan with oil until heated through. 2. Add cooked rice and spread evenly around the pan. My kids like a few crispier parts, so I usually just let it cook for several minutes (5-10 min. ), while stirring ocassionally. The rice will absorb the flavor from the meat. 3. While the rice is cooking in the pan, microwave the peas and corn in a bowl until they're warm (probably about 2 minutes or so). 4. Add the cooked peas and corn and the sauce if you're using it, and let the rice mixture cook for a few more minutes. Experiment with this dish. You'll find it's a fast go-to recipe for lunch or dinner. Nucoa Margarine used to be my go-to substitute for butter. Milk-free and in convenient stick form, it melted well and made altering traditional butter-laden recipes, well, a piece of cake. I was pretty sad to find out recently that Nucoa (which is now sold under Smart Balance) changed their recipe for their milk-free margarine, now labeled as the mysterious "Buttery Sticks". 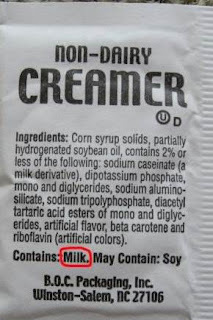 Although the ingredients do not include any obvious milk products, the company has eliminated "milk-free" to its labeling. Very suspicious and, in my book, that means the stuff might not be safe for my dairy-allergic kids. In search of a suitable dairy-free butter or margarine, I have turned to Earth Balance, not to be confused with Smart Balance. (I seriously didn't know these were two different brands until I did the research for this post.) Earth Balance has created a line of natural, oil-based spreads that the company says promotes healthy cholesterol levels. As a non-dietitian I don't exactly know what to make of the company's claims. However, as a mom of kids with food allergies, I'm very happy to have Earth Balance as a safe option for when a recipe calls for that buttery taste and texture. It's not a perfect substitute for real butter (because stores I visit never seem to carry the stick form) but I think it's the best dairy-free butter substitute on the market and at a reasonable price for our family. Earth Balance has many varieties of spreads -- some with dairy, some without, at least one without dairy or soy. Trust me, it can be confusing. 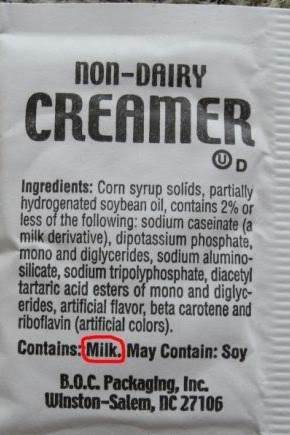 So read and reread the labels before you buy it. I've made the mistake of buying the wrong kind but, luckily, I've conditioned myself to check labels right before I break open anything so I caught my oversight before giving any to my kids. Out of the big grocery chains in my area, Trader Joe's has the best price for vegan Earth Balance. (I haven't seen the dairy-free, soy-free version there, though.) For more information on Earth Balance and their products, check out their website. If you are dairy-free, what butter substitutes do you like? Addison loves her cookies (and cakes, and other sweets--and "loves" is an understatement). And being not yet two, she doesn't quite understand what it means to have an egg allergy (especially when the eggs are hidden in the most scrumptious looking desserts!). The two of us were at a party over the weekend where we didn't know most of the guests. It wasn't long before Addison had made herself comfortable, making her way around the room. I was really happy to see that she had come out of her shell a little, so with Addi preoccupied, I took a few minutes to eat and socialize. When Addi came up to me with something in her mouth, I was puzzled, and quickly scanned the room, until I saw a woman on the other side of the room smiling at me with a half-eaten sugar cookie in her hand. I haven't been very proactive in teaching Addison not to accept foods from other people. She had been so shy in the past that getting unglued from my leg at any point during an event was considered a huge success. But she was getting over her stranger anxiety, and so the time had come to warn her about other people's food. And, until Addi is able to understand not to accept food from others, I needed to keep a much closer eye on her at social events. My little girl's growing up *sigh*. With allergic children growing up means so much more than watching their developmental milestones--it means teaching them to manage their food allergies at a very early age. Tristan learned fast because his immediate response to a food allergen was to vomit over and over, and even at a young age, he didn't forget that. But Addi, our little cookie monster, is going to be a more reluctant student. So, onto the next leg of the journey! I wanted to pass on a resource for families managing gluten and dairy allergies. 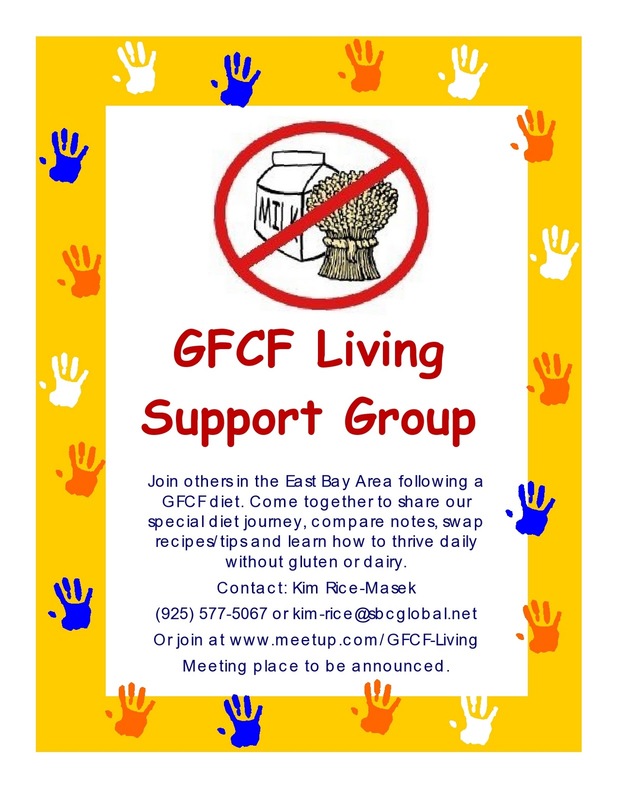 A friend of mine is starting GFCF Living, a meetup group for SF East Bay families living with gluten and dairy allergies. Here is more information on this group. Let us know if you check it out! It's a great thing that stores and grocers are now responding to the needs of food-allergic families. It puts a smile on my face to see sections devoted to special diets growing wider and wider. The availability of gluten-free products, in particular, has really improved. Below is a list of supermarket chains that have posted lists of gluten-free items available at their stores. Some of the products are specially made for gluten-allergic people (like Enjoy Life chocolate chips) while others are everyday products (think canned peaches) that happen to be gluten-free. Most product lists include generic store label products as well as national brands. I've included in the mix supermarket chains outside California. Not only is this helpful to our out-of-state readers but a chain in another state might have a more comprehensive list of widely available products. PCC Natural Markets is a great example of this. Check out their gluten-free section. They have a searchable gluten-free database for foods as well as separate database for gluten-free body/health products. 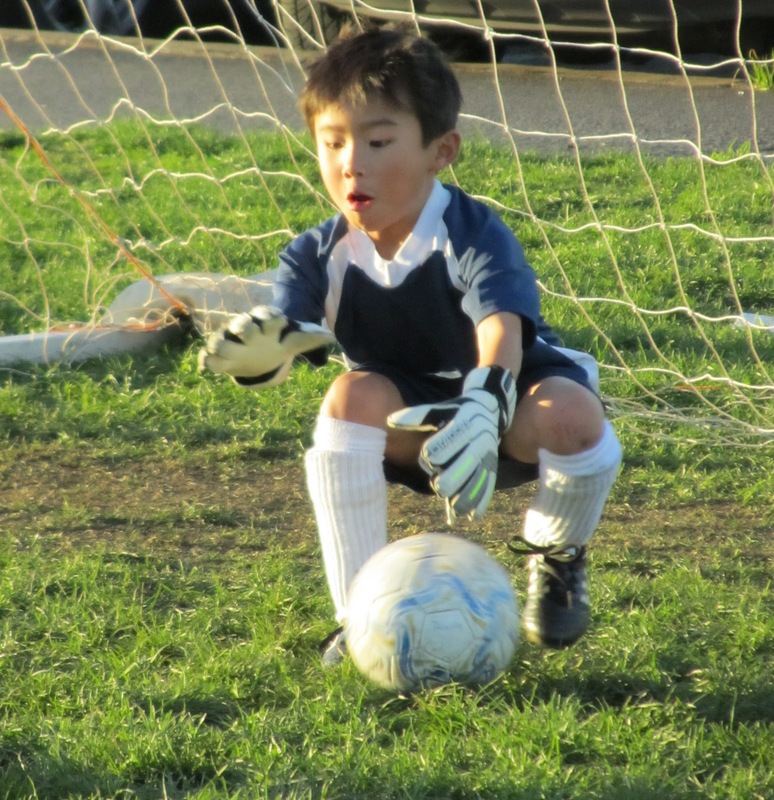 her son's story when we first began our blog. My first born, K, started very early on with severe eczema which gradually disappeared before he turned one. A discovery of multiple allergies soon ensued. It was later confirmed that he was allergic to peanuts, Brazilian nuts, pecans, pistachios, and cashews. That was only the nut category. He is also allergic to cod, shrimp, and shellfish, especially lobster. Surprisingly, he is not allergic to crab and tilapia. Now did the fact that he was so allergic surprise us? Not one bit. Again, he had a history of moderate to severe eczema as a baby to the point that we had to use an immunomodulator called Elidel (last resort) because it was the only topical ointment that worked. We also noticed from the very beginning that beneath the disguise of being a picky eater, he was just very hesitant and cautious for a good reason--he understood how his body reacted to foods better than we did. In actuality, my son, K, LOVES food -- delicious food, that is. It is our job as parents to come up with the right selection of eats that will help our kids build trust in food and strengthen their trust in us, as parents. I look forward to getting more ideas from this website that will help turn what can be a daunting task of finding safe and enjoyable meals for our allergic kids into a fun-filled food exploration. I wanted to extend our warmest wishes for a LOVE-ly and safe Valentine's with you and your littlest cutie pies. Semisweet chocolate chips are featured in both recipes. Several varieties we found are gluten-free, dairy-free chocolate chips. Ghirardelli, Trader Joe's, and Safeway Organics are gluten-free and dairy-free to name a couple. Soy ingredients -- specifically soy lecithin -- is difficult to eliminate from the chips. Enjoy Life may possibly be the only company that produces semisweet chocolate chips completely free of all of the top 8 allergens. In honor of our most resilient, youngest chocolate lovers, here are two recipes that are highly adaptable to fit your needs. Will I ever stop getting that sinking feeling in my stomach when I see a mother walk into a bakery and buy her very excited child a fancy cupcake and a cup of milk? Maybe not. But baking at home (either homemade or semi-homemade) can be just as--if not more--gratifying! I encourage everyone to start baking with their kids. Not only do your kids learn so much in the process, the end result is always a show-stopper, since THEY made it themselves (or as Addison likes to say--"MYself!"). Disclaimer: I am not a very good baker, nor will I ever profess to being one. But I do enjoy it and have done my share of baking with all my kids (and classrooms of kids), and I usually start them really whenever they show interest (Addi was around 21 months). So I do believe all kids can participate, as long as they’re willing! That said, make sure you're in the right state of mind, and with any new kids experience, be ready to expect the unexpected! If you don't yet have an easy and allergy-friendly recipe, try this Wacky Cake recipe, or try out an allergy-safe mix, with egg replacers if necessary. Paper towels: You know how Rachael Ray has a "garbage bowl?" I don't have time to wash a garbage bowl. I have a garbage paper towel layer under and around the mixing bowl to place soiled spoons, wrappers, and other garbage down when the kids are done using them (they're going to put the stuff down on the table next to the bowl anyhow). Makes cleaning up so easy--no extra bowls to wash, and us San Franciscans can wrap up the garbage and throw our towels and compostables right into our compost bin. Have those baby wipes handy: Not only for spills, but some kids just don't like icky hands--and that's ok.
Find teachable moments in baking--discuss measurements and fractions, teach the kids how to prepare for a project, and how to clean up. Also, show and teach the kids the names of all the ingredients. If they're stored at arms reach, the kids can eventually gather them up for you before baking, they'll learn to recognize some of their "safe" ingredients, and they will be able to do much of the adding and mixing on their own in no time--really! If you have more than one child baking, teach them how to take turns. For example, I have one hold the bowl, while the other takes 10 turns around the bowl. One holds the measuring spoon, while the other pours the ingredient. It also helps if you have a few mixing spoons and spatulas around (you'll see why). Kids' Table: If you have a kids' table in the kitchen or nearby, it makes things a little easier, especially for the really little ones. Otherwise, I like to pull my toddler's high chair right up to our kitchen table so she can comfortably participate (and be conveniently restrained at the same time!). Teach the kids oven safety. I turn on the oven light when i start pre-heating the oven. Whenever the light is on, my kids know the oven is hot, and not to touch it. If you're not baking with eggs, let the kids lick the spoons! Sometimes I'll scoop some leftover batter onto a clean spoon if there aren't enough to go around. This is definitely the best part about baking without eggs! Send in your experiences, tips, and funny stories about baking with kids! The better prepared we are, the more likely we are to include the kids in the baking, and that makes for happier kids (and happier us). My son, Ryken, has moderate peanut and walnut (a new one!) and severe milk/dairy allergies. In recent years, there has been growing awareness of the serious dangers of peanut allergies so I have always felt a little more at ease about controlling for nuts. It’s dairy that I spend more time looking for. So much of what is eaten today is processed. Food products have lines and lines of ingredients both common (salt, water) and foreign (methylbenzyl...what??). Companies often add the ever-tasty cheese and whey to make food look and taste better. So when I'm food shopping and scanning labels, the first thing that catches my attention are the words "dairy-free", "non-dairy", and "soy" in traditional dairy products. These should be safe for my kids, right? Nothing says Valentines like chocolate. And since I'm a bit of a candy Nazi, chocolate cupcakes are the perfect solution. We use the very popular “Wacky Cake” recipe (NOT for the wheat allergic--please send tried and true gluten-free recipes! ), which was originally published in Rosemarie Emro’s Bakin’ Without Eggs, but is now widely printed all over the Web. We use it for every birthday and event that calls for cupcakes or cake (or just whenever we feel like having a treat!). The kids always help (in other words, a little bit of spilled flour here and there doesn’t seem to matter), and they’re moist and delicious. Instead of cold water, I substitute soymilk* (I try to add calcium wherever I can since I currently have a very relunctant milk drinker on my hands). In a mixing bowl, stir together flour, sugar, cocoa, baking soda, and salt. Add vanilla, vinegar, oil, and water (some recipes say to make three wells for the vanilla, vinegar, and oil, and then add the water over all of it and mix. I just throw it all in and it seems fine) and stir until moistened. Pour into a lightly greased 8x8 baking pan or lined or greased cupcake pan (makes about 12 or so). Bake at 350 degrees fahrenheit for 25 to 30 minutes, or until it springs back when touched lightly. What I love about cupcakes is that you can dress them up for every occasion (NOT that my kids won't eat them right out of the oven!). 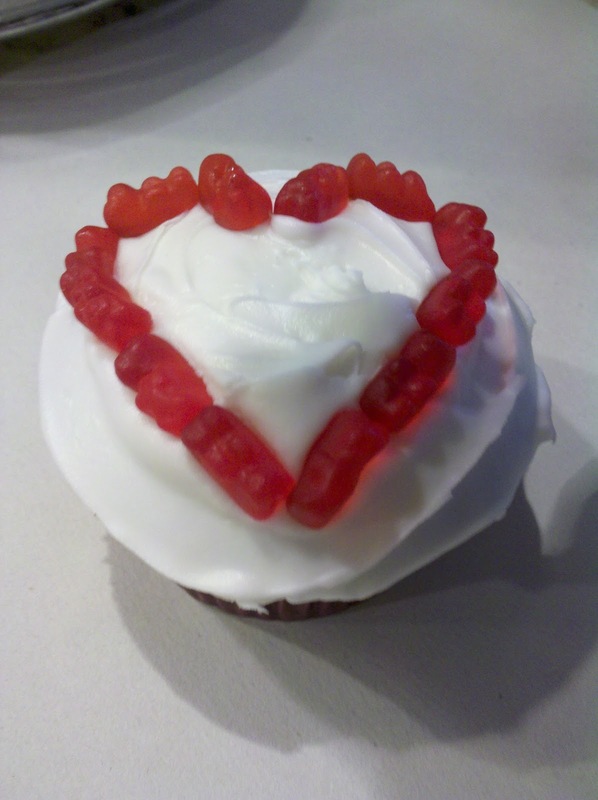 I decided to look around the house to see if I could get some inspiration, and came up with the following six ways to give your sweetie her own personalized treat! Super Bowl Sunday is this weekend kicking off one of the more popular events for finger foods. Dips are one such food that my kids like because they get to choose their own chips and serve themselves. Free of the eight most common allergens, these two dips are great to prepare for parties with food-allergic children. Drain canned garbanzo beans, reserving the liquid for use. Grind all ingredients in food processor gradually adding small amounts of the bean liquid. Add bean liquid and additional water and blend again until you reach the consistency you prefer. Garnish with paprika. Serve guacamole and hummus with fresh vegetables such as celery stalks, baby carrots, and snap peas or your favorite allergy-free chips, bread, or crackers.We would love to hear what your favorite Super Bowl foods are and if you've modified them to be allergy-free. Kids With Food Allergies is a great online resource to find allergen lists, recalls, recipes, and allergy-free specialty foods. To access some resources on the site, you need to be a member (dues-paying for some “premium” resources, and free membership for others). There is a message board that opens up discussions over concerns such as dealing with allergies in school. My favorite freebies from Kids With Food Allergies are their lists of hidden names for allergens. No more hunting around for allergen lists! They do not claim to be comprehensive but I think they provide a pretty comprehensive list of allergens in their less common forms. Find the allergen lists that pertain to your family's concerns. Print them out and add to them if you need to. Leave copies in your cars, on the refrigerator, and with caregivers and teachers. That way you or anyone in charge of your kids will have them handy for babysitting, grocery trips, and unplanned bites outside of home. Living with food allergies can feel isolating. For our kids, it sometimes means never being able to share a friend's snack, bringing your own safe food to parties, or only sitting at a designated safe area at school. This isolation isn't just limited to kids -- as parents we have a host of concerns for our kids' well-being on a daily basis different from our peers. One of the goals of GetAllergywise is to rescue us all from our one-man islands and bring us back to a land of similarly-challenged but thriving families! When Ryken was first born, my husband and I would spend what seemed like hours stroking his smooth cheeks. We marveled at how perfect and soft his skin was, how perfect he was. The weeks of recovery from debilitating sciatica, the painful learning curve of breastfeeding, and the sleep-deprived nights didn't seem to matter much as we held him while he slept peacefully. As with most things concerning newborns, all this didn't last including the nice skin. 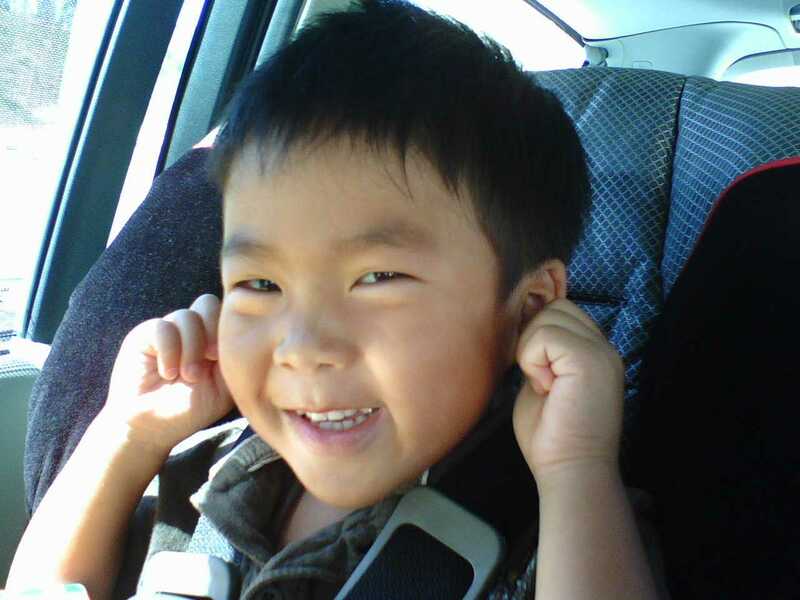 When he was 3 months, Ryken developed atopic dermatitis (eczema) while on a hot trip to L.A. He developed crusty, oozing patches on his face and legs. We also found blood in his stool. It was then that we first began to wonder if he was allergic to dairy. I was nursing Ryken and had eaten some rich cheesecake the night before, a treat I don't normally enjoy. After 11 months of trying, eyelids still encrusted with sleep, and hair still in a knotted nest at the nape of my neck, I peeked just enough to see the test read positive. Heart pounding in my chest, I woke my semi-conscious husband with the news of the impending birth of our first child. We were going to be parents. The bliss lasted about a week until the vomiting started. Vomiting occurred every single afternoon like clockwork--I would literally run the three blocks from the school where I taught 28 fifth graders to our Outer Sunset split level, bee lining it straight to the toilet. After regularly gagging at the slightest whiff of Chinese take-out, growing so big that even my maternity overalls were obscene, and developing a dark line stemming from my belly button down that seemed to read like an x on a treasure map, I thought the biggest changes had already taken place. Then, in August of 2004, a perfect, six-and-a-half pound boy was placed into my arms after 24 short hours of labor. He was perfect. A baby full of energy and life and a newborn-fatigued-but-happy mom shared many tender and quiet moments feeding, rocking, and strolling (lots of strolling! ), and less and less continuous stretches of sleep. Very early on, Tristan had itchy, rough, dry patches all over his body in the form of what we learned to be atopic eczema, and after tons of scratching (should a four-month-old be this adept at scratching? ), various prescribed creams, ointments, and oils, cold washcloths, purging anything polyester or wool, a lifetime supply of Aquaphor, doctor's visits, and sleepless nights that seemed to blend each day into the next, we thought, what next? This year we ring in 4709, the Year of the Rabbit, on February 3rd. The Lunar New Year is celebrated by Chinese descendants and other Asian cultures throughout the world. In China, it’s two whole weeks of celebrating! Rich with symbolism and delicious foods, it is a great holiday to introduce to your family. It is also flexible for interpretation, which makes it great for allergy-affected families and cooks of all skill levels! The hallmark of this holiday is a reunion dinner on the eve of the new year. The foods chosen represent wishes of good health and fortune. Whole steamed fish and chicken, and green stocky vegetables are common dishes served. 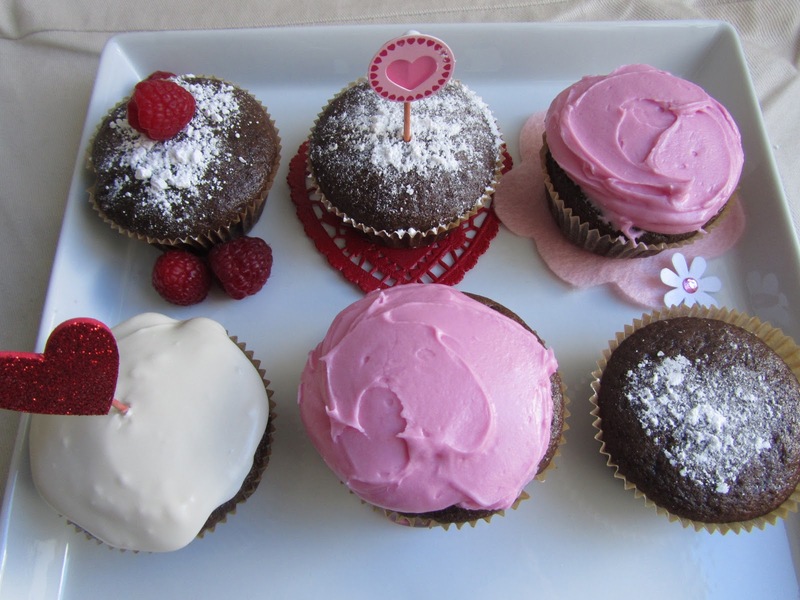 Here are several food ideas to help you ring in an auspicious, allergy-free year of your own! On the go: I'm assuming that Safeway carries these at most of their stores since I've found these while traveling to Truckee and to the L.A. area at their stores (Where else have you seen them?). And, they seem to disappear when they're packed in the school lunchbox, so they're either still decent warmish or my kid just loves these that much. Ling Ling frozen potstickers are a staple at our house (NOTE: NOT for the soy or wheat allergic!). We have them so often that while they're still cooking, a few hungry children will always exclaim, "Mmm...potstickers!" They have no added MSG, are hearty enough for a meal, and are a fan favorite for the entire family. Plus, having this lovely meal means I only need to wash one pan when dinner's done (bonus!). 1. Add 2 Tbsp. of cooking oil to 12-inch non-stick skillet. 2. Add frozen potstickers in a single layer and cook for 1 minute on medium-high. To keep from sticking, do NOT move potstickers. 3. Add 1 cup warm water. 4. Cover and cook for 8 minutes or until water has evaporated. 5. Uncover, cook 1 minute or until golden brown. They come out hot and steamy, crispy and chewy...de-lish! A fast, easy, and readily available option for introducing Chinese food into your repertoire, just in time for Chinese New Year! I am starting a series of reviews on children's allergy-themed books with this one because although they seem to be few and far between at the public library, I do know that the San Francisco Public Library shelves this one. (I'd love to hear if your local library carries it, or whether it would be interested in carrying allergy-themed books like this one). It could be a great place to start up an open communication with your young ones, or to delve a little deeper with the older set! This book tells the story of Grant, a new peanut-allergic student at Nutley School, whose students are all very passionate about their daily peanut butter sandwiches, and Simon, the most passionate of the bunch. To protect Grant without having to ban peanuts from the school entirely, the principal sets aside a peanut-free table in the cafeteria, which turns out to be a pretty lonely place. Some of the kids come up with the idea of making the peanut-free table a fun place, and the Peanut-Free Cafe is born--complete with peanut-free snacks, arts and crafts, and entertainment. It takes Grant a while to come around, but eventually learns that he can live without peanut butter at school, and joins the fun. Although the concept of such a peanut-free cafe is a bit far-fetched, a peanut-free zone at school is a great topic of conversation for our families. At Tristan's school they have a peanut table instead of a peanut-free table, which actually echoes the concept of the book more than a traditional peanut-free table--that is, the party is where the peanuts are not. It seems to work pretty well, and encourages allergy awareness in a simple way among teachers, staff, students, and their parents. Overall, the book is well-written, the illustrations are colorful and fun, and my kids all seem to enjoy it. I especially like the part in the book that shows a picture of Grant showing his Epipen to his new friends, describing it in kid-friendly language: "It's a shot...Because if I eat just one peanut or anything made with peanut oil, I can't breathe. I have to take my medicine right away." Check this book out if you get the chance!